Buying or selling a property in CA is a big decision, which is why it’s more important than ever that you choose the right real estate professional to be on your side. We’d love to work with you! Learn more about us and why we do what we do. I am YOUR NEIGHBORHOOD REALTOR! My focus is helping make your home buying dreams a reality or your home selling experience smooth, quick and for the highest price the market will support. 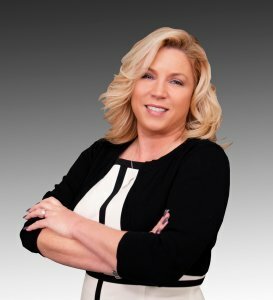 With over 17 years in the real estate industry and my diverse background, I have an excellent understanding of Real Estate and how to cater to the needs of a wide variety of clients. My former clients range from Veterans who have serviced our county and their families, to housekeepers, agricultural workers, and blue-collar workers to white-collar workers, doctors and lawyers. I’ve worked with families, single parents, and individuals. I am confident my wide range of life experiences, education, and determination to remain focused on your dreams makes me the right Realtor for you. I know the importance of following your dreams. I grew up aspiring to be a lawyer, and my legal education has proven very beneficial when it comes to dealing with issues that sometimes occur during the home buying and selling process. As a former lender, and now Realtor, I always take the time to educate new buyers, explaining every step of the buying and selling process. I also work with hand chosen lenders who aspire to the same philosophy. I learned to listen to individuals and family members, in an effort to understand their specific issues and needs working in patient care at both CHLA and Shriner’s Hospital for Children for 15 years. As the granddaughter of a former WW2 Merchant Marine, I have helped numerous families navigate the Veteran home buying process. I am knowledgeable in both the loan and real estate requirements of securing a home for one of our treasured veterans. Choosing the right Realtor is vitally important in any market. As the top 1% in my field, I have proven that I am dedicated to helping individuals and families with all their real estate needs. Understanding a problem is the first step in finding the solution. I start with understanding my client’s needs then, together we find the best way to reach their goals. I look forward to working together, whether it is finding the perfect house for you and your family to call home or selling your home for top dollar in any market.